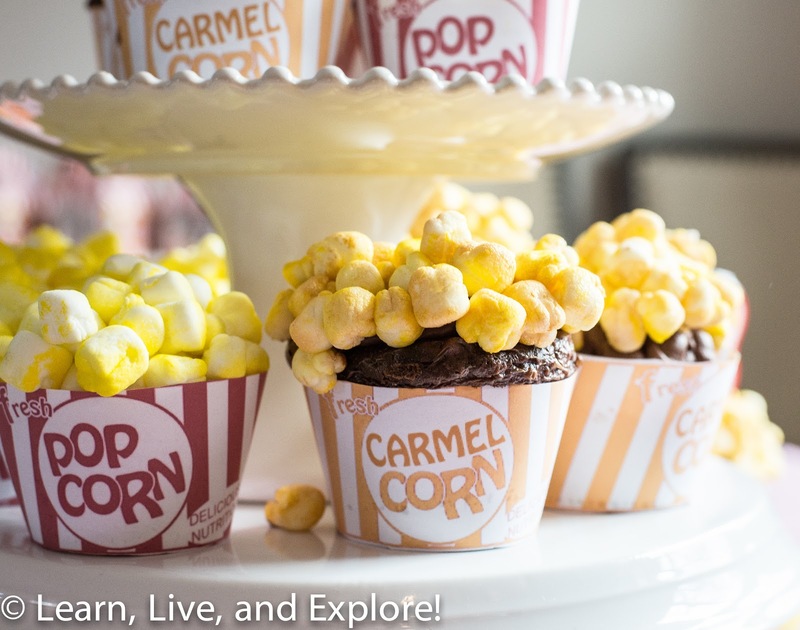 Popcorn Cupcakes Revisited ~ Learn, Live, and Explore! My friend's daughter celebrated her 3rd birthday this weekend, so of course I volunteered to help by doing the cupcakes! You may remember that in November, my cupcake of the month was a box of popcorn made from marshmallows. 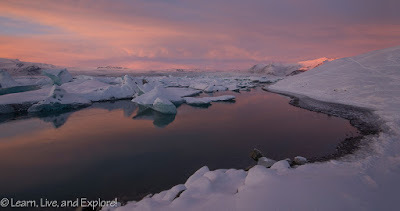 If you haven't seen that post, check it out HERE. Anyway, since the party was going to be a carnival theme, I thought the popcorn design was perfect. Of course, the birthday girl wanted chocolate cupcakes, so I decided to make both chocolate and yellow. To differentiate between the two, I wanted to keep the yellow cupcakes the original buttered popcorn look, then make the chocolate cupcakes into caramel corn. To achieve this, I had to just tweak two things. First, I used a can of Wilton's Color Mist in gold to take the already yellow highlighted marshmallows and add a top layer to "caramelize" the color. I thought it would be too shiny and metallic, but it actually worked perfectly!! Second, I had to modify the cupcake wrapper. My photoshop skills are passable and are nothing compared to my mom's, so I sent her a quick email asking if she knew how to change the color of the font and stripes and how to change the wording. I was blown away when she quickly turned around the golden striped wrappers! I overfilled the chocolate cupcake wrappers in my haste to get the cupcakes baked the morning of the party, so the tops turned out too large for the wrappers (lesson learned: 2/3 full for chocolate batter!). While not perfect, I'm still really happy with how everything turned out. By the way, if you want the wrapper template, email me at learnliveandexplore@gmail.com and I will email it to you. 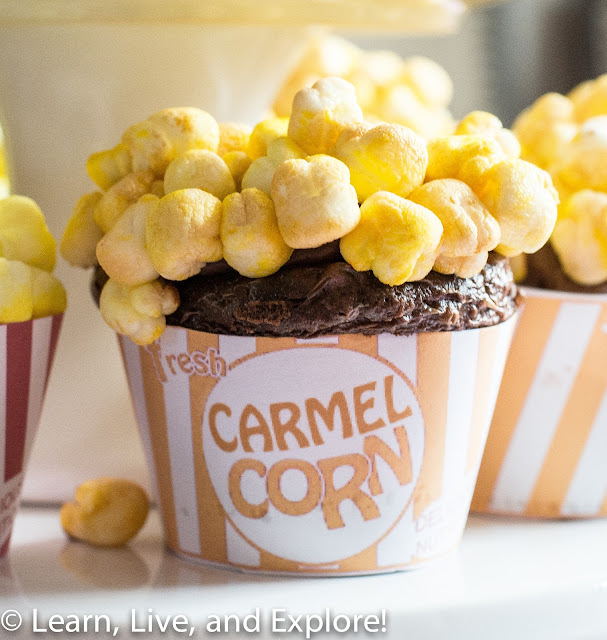 Hi Julie do you have a printable Carmel popcorn cupcake template? Hi Deanna. Sorry for the late response! Unfortunately I don't. Let me see if I can upload the image to the post. If it doesn't work, then email me at learnliveandexplore@gmail.com and I can send it to you as an attachment. OK, no luck. Email me!